Although the summer is wrapping up, the London art scene continues to offer incredible gallery, museum, and public art shows. From a Rolling Stones retrospective to an Alex Katz park preview, get familiar with these six must-see shows in London before they close. Georgia O'Keeffe is best known for her paintings of magnified flowers, animal skulls, and New Mexico desert landscapes. This exhibition brings together some of her most important works, including Jimson Weed/White Flower No. 1 1932, the most expensive painting by a female artist ever sold at auction. With no works by O'Keeffe in UK public collections this exhibition is a rare chance to see the beauty and skill of her remarkable paintings outside the US. 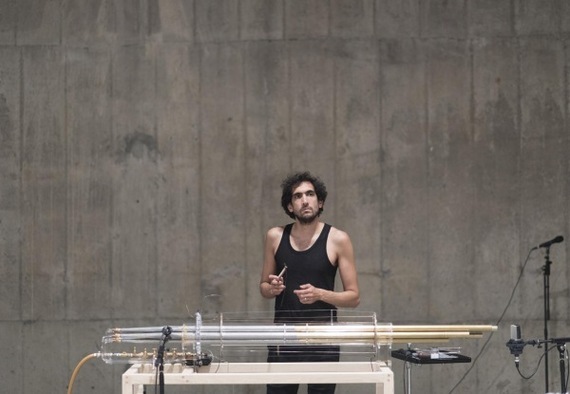 This month, BMW Live and Tarek Atoui take over the Tate Modern's new space with a ten instrument performance in the South Tank. A series of new music performances will take place daily for the first three weeks and will be added to the existing sound recordings of the show. The project poses broader questions about how to share and preserve time-based media works within the museum of 21st century. 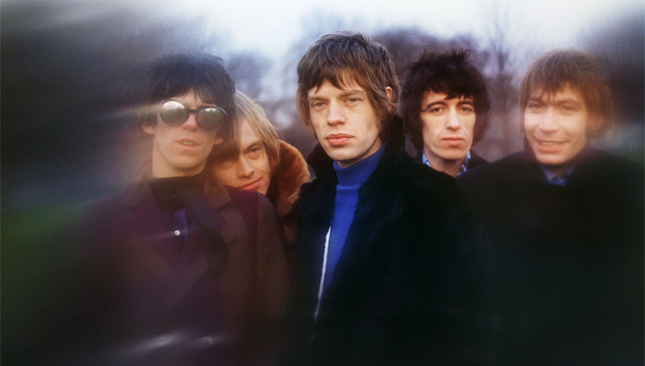 Exhibitionism is the first international exhibition on The Rolling Stones. Taking over the entire Saatchi Gallery with 9 thematic rooms, Exhibitionism combines over 500 original artifacts to offer the most comprehensive and immersive insight into the band's fascinating fifty-year history. The show includes instruments, original stage designs, iconic costumes, rare video footage, personal diaries, and unique wraparound cinematic experiences that celebrate every aspect of their careers. Centre stage is the musical heritage that took them from a London blues band in the early 1960s to inspirational cultural icons. Alex Katz developed his unique approach to painting in 1950s New York during the height of Abstract Expressionism. Influenced by films, billboard advertising, music, poetry, his circle of friends and family, Katz's work is characterized by his lifelong attempt to capture the present tense in paint. This exhibition brings together Katz's extraordinary productive output of recent years alongside selected works from the past two decades. His landscapes respond to the Serpentine Gallery's space in Kensington Gardens. They are presented alongside a recent series of portraits, featuring, among other figures, his wife and lifelong muse, Ada. 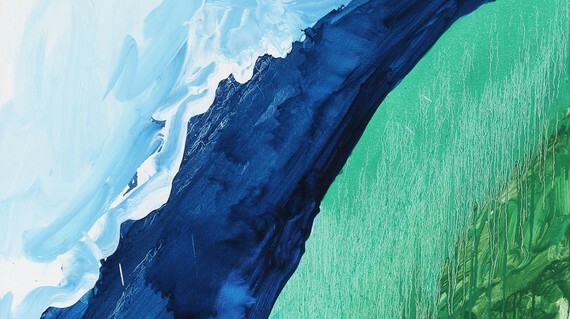 The surreal beach life of Los Angeles, 1960s counter culture, pop songs, and friendships with New York artists, are the focus of Mary Heilmann's dazzling abstractions. The poetry of her works lies in the tension between the rigors of geometry and the contingencies of the human and the organic. The exhibition begins with paintings based on the square, the grid and architectural details, such as The First Vent (1972). They are juxtaposed with glazed ceramics, hovering between painting and sculpture. A slide show, Her Life (2006), features Heilmann's paintings and personal photographs set to an eclectic mix of music. Taking on the iconic site of the Pleasure Garden Fountains in the heart of Battersea Park, Samara Scott created a 'liquid painting'. Through the use of biodegradable dyes, Scott has colored the Mirror Pools to create a dynamic display that shifts and changes with the flow of water around the pipe systems. By also including sculptural elements she adds texture and depth to the often-flat surface of the pools. This temporary installation engages with both the heritage site as a space for celebration and the industrial history of Battersea. Want to make smarter art investments? Create an account on our platform. Follow Arthena on Instagram and Twitter, like us on Facebook.